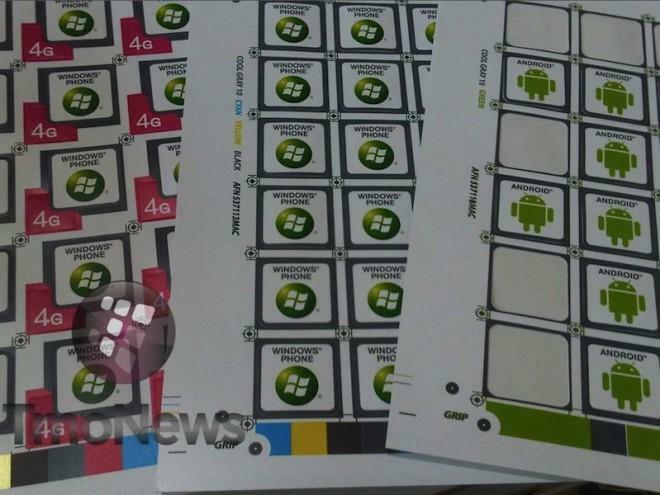 You are here: Home > T-Mobile Receives Windows Phone 7 4G Stickers For Future Display…Sign Of Upcoming Devices? Windows Phone 7 fans might want to do a double take at the above image as we have what we believe is the very first piece of evidence that a 4G Windows Phone 7 device is coming to T-Mobile. T-Mobile retail stores often receive display unit stickers, graphics and images well before a phone arrives and in this case we hope a new Windows Phone 7 device is on the horizon. As you can see in the second picture there is clearly a distinguishing difference between the Windows Phone 7 stickers and 4G Windows Phone 7 stickers. As of right now the only possible Windows Phone 7 device we’ve seen rumored is the HTC Bresson. With a ridiculous 16 megapixel camera rumored we’d be perfectly content to see the Bresson arrive on T-Mobile and with 4G in tow it could be a huge winner. 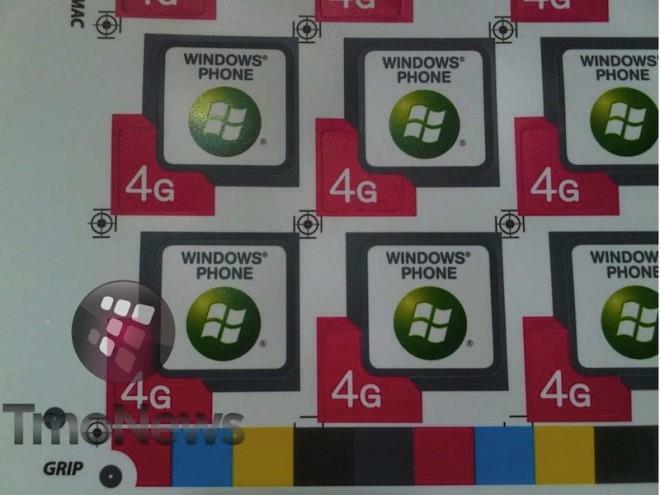 While stickers certainly aren’t the end all be all of leak reporting we’re certainly curious as to what is represented by the 4G sticker with a Windows Phone 7 connection. Are 4G Windows Phone 7 devices on the T-Mobile horizon? We hope so. I hope T-Mobile doesnt say that 7.1 Mbps is now 4G!!!! on second thought not sure if these are real – Mango devices have a new logo. Yea baby, thats what im talking about….bring it on. Dont want windows on my laptop, dont want it on my phone either. No I don’t and I am sure I am not working in Google like you do. It is not ugly you just have a very bad taste and you don’t like slick and modern designs. It is you bad tastenothing else. They are getting better, however, I wonder how they feel about the new android market and how it looks really close to Windows Phone 7 market? Guess, now is the time they insert a foot in their mouth. Yeah Google copy right and left Microsoft design and UI all these days. It’s about time to get sued for copying WP design. It is still around and it will eb around for a long time. Perhaps you beloved Android will be disappear in few years but this OS will stay for along time. Sorry! Windows Phone – DOA. Windows fanboys in the handset world need to realize Microsoft is five years behind the curve, barely on the edge of relevance in the handset OS market. Sorry, guys, but the world isn’t just PC’s anymore. You do realize that your statement is unfounded and if you did any research you would know that there was a Windows Smartphone prior to any Android. Second, how many force closes happen on your Android device? Fyi I have both Android and Windows phones so, I have extensive use in both. Next, I can call Microsoft and guess what?, they answer their phones. Google does not answer theirs. It also only takes a couple minutes to fix a Windows phone issue and it takes average of an hour with an android. Not to mention it takes a lot to fix the Android. There was?!? O ya that didnt work out so they remade it. Turns out the older windows mobile is still more popular and outsells the new one. Sad. Not true apple troll. Wp7 is gaining and has surpassed old wm phones in sales. Dont be sad because your stuck with a junk laggy iphone or android phone. You are really one cluless Android fanboi. Can’t expect more than this from people like you. Well he might just know how bad wp 7 really is that doesn’t mean he’s fanboi the ppl that have used wp in the past expected so much more from Microsoft an realized that android is still more relativent so get off ur highhorse. Wp7 fanboi !!!! Windows Phone 7 is not Windows Mobile 6. See you even don’t this simple thing and then you think you are qualify to come and give comment and etc. aboout something that you don’t know the very frist basic information about it. The fact that you still have no idea and think they are same shows how much you are clueless. I don’t expect more from people like you tough. After all you are android fanboy and not having enough knowledge about technology and trash competition blindly is very common in Android fanbois. i know right, Android is so awesome I’ve had to reboot it twice today because it froze up and the the off button didn’t work. ANdroid is great but really feels under developed sometimes. The more competition we have in the mobile space the more innovation we get from companies and developers. Remember when we used to pay for navigation system for phones guess what! android and symbian gave it to us for free! and the list goes on and on. So more OSes more innovation better prices more phones more competition. I would get one in a heartbeat. WOW. 4G WP7!!!!!!!! The manufacturers are now reaping the consequences of google giving away android for free. Android is not free. It cost even more than other OSes because it’s all copy and stolen from other companies technology and innovation. Android OEM have to pay los of money for license and court battle these days and in future. I am open minded enough to try it. I liked wm 6.1 better than 6.5 and have been with android ever since the tp2. I just hope if they have a beast like that coming out they do it soon. The new iphone will be out soon. While it’s two different types, iphone usually hangs around the news longer than a wm. They need to ride the media wave while they have time. Microsoft has the vision they just aren’t implementing as well as google is blending together I think. I am a Windows Mobile fan at heart, and used nothing but Windows mobile for a long time. I thought I would spice things up though this year and would try something new(android/mt4g). My next phone will be a Windows 7 phone.That or the Nexus Prime(3). I just want a nice Nokia hardware and design running Mango. Could it be a Nokia? Just make sure wp7 never goes on a phone that resembles an iPhone or wp7 ui has anything similar to android. Wp7 started from scratch and I respect that, make it similar to any other phone you’ll get complaints and lawsuits.